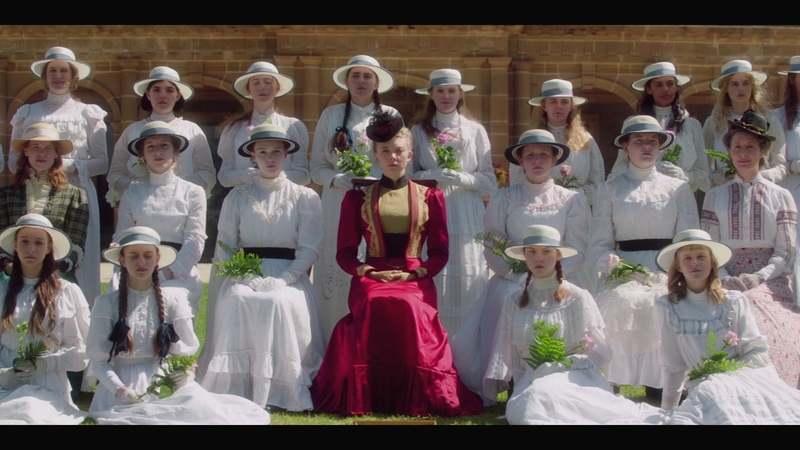 Game of Thrones’ star Natalie Dormer leads a strong ensemble cast in Picnic At Hanging Rock, the latest re-imagining of the acclaimed Australian novel. Picnic at Hanging Rock is the quintessential Australian mystery novel. Three schoolgirls and their teacher disappear on Valentine’s Day, 1900. The subsequent investigation touches everyone at the Appleyard College and nearby town, fostering paranoia and uncovering secrets within the school. The foreboding mystery tantalizes and teases viewers in this ambitious BBC mini-series that updates the novel for a new generation. Located in Australia, Hanging Rock is a distinctive geological formation that holds a sort of mystique and spiritual power in the country’s history. Hester Appleyard (Natalie Dormer) runs the nearby Appleyard College with an iron grip, a finishing school for young girls and ladies. Her prim appearance and strict expectations for her young students are at odds with her past. She’s a stern taskmaster with secrets of her own. The principal drama in the plot concerns Hester’s three star pupils: Miranda, Irma, and Marion. They’re campus stars of the close-knit Appleyard College. Miranda (Lily Sullivan) is a charismatic free spirit that plays by her own rules, which rubs Hester the wrong way. 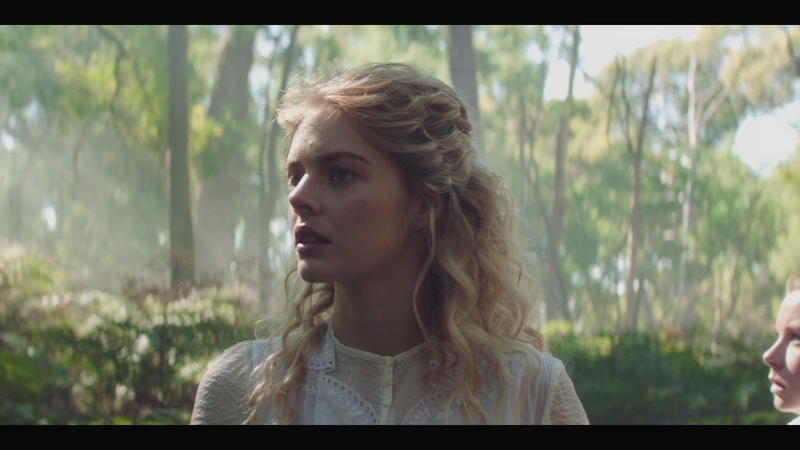 Irma (Samara Weaving) is a Rothschild heir, which draws immediate attention in the surrounding well-to-do circles of society. Another wealthy scion of a prestigious family, Michael Fitzhubert, is drawn towards the girls. These close friends are on the verge of graduation when something inexplicable happens. The three young ladies and their teacher disappear into the mists of Hanging Rock on a school trip. The ensuing investigation and unwanted attention exposes deeply held secrets within the school. Everyone, from lowly maids, to the highest reaches of polite society, become involved in the fall-out one way or the other. The layered coming-of-age mystery has sumptuous production values and a stellar cast. It sets a compelling tone and atmosphere for the period mystery. 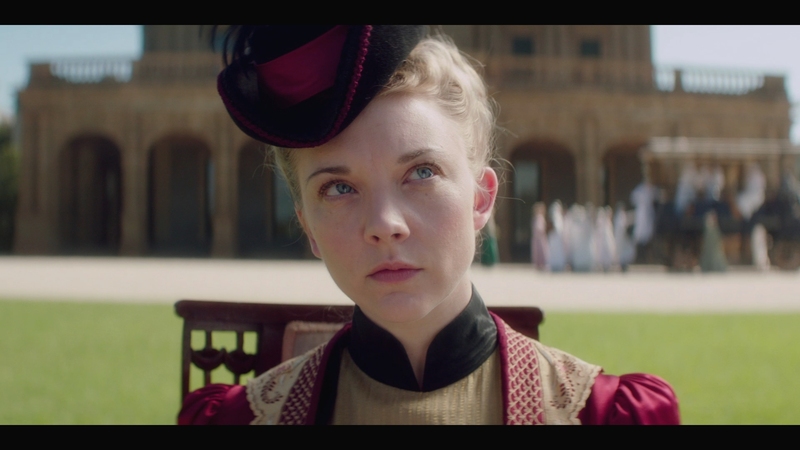 Dormer is fantastic as the head governess hiding secrets about her past. Hester’s carefully cultivated image in Australian society crumbles as more and more questions are raised about her school. 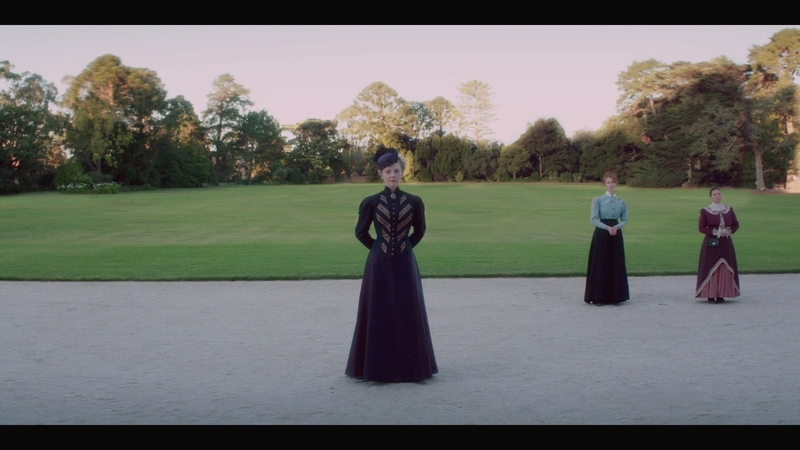 Picnic At Hanging Rock runs six episodes. The mini-series is more definitive about what actually happened to the girls than the novel, or Peter Weir’s 1975 film adaptation. It would have been nice if a few of the less entertaining sub-plots were culled. The mystery attempts to characterize every strata of Australian society and how they all fit together. That ambition is nice in theory but adds unnecessary complexity to the plot. The languid movie feels like a dreamy period thriller, which isn’t a bad thing at all and adds an interesting touch. The six episodes are spread over two BD-50s. Encoded in AVC, it has clean compression free of artifacts. The 1080P video is presented at the unusual 2.00:1 aspect ratio, fairly rare for a television production. 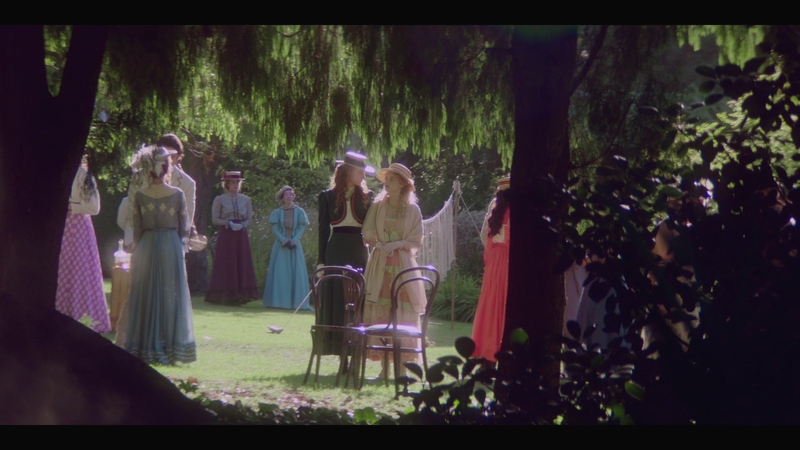 Picnic At Hanging Rock’s digital cinematography is top-notch with strong black levels and perfect clarity. 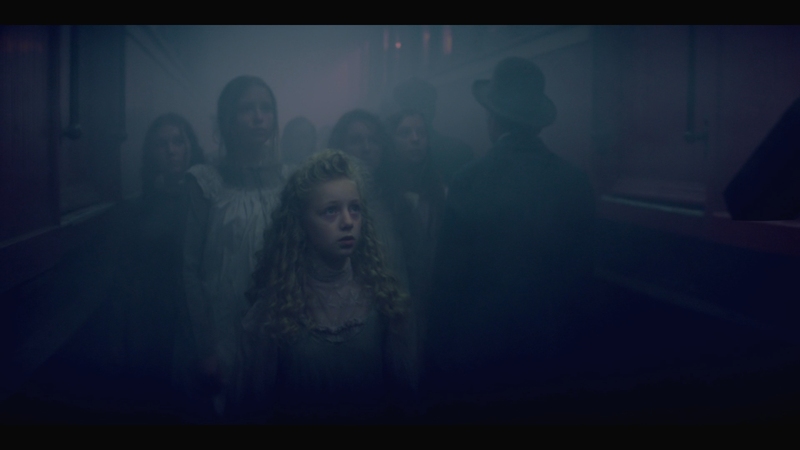 The unsettling drama’s color grading has dramatic teal-green highlights for many scenes. The gorgeous production has fantastic detail, lush colors, and razor-sharp definition. This Blu-ray set from RLJ Entertainment receives a perfect digital transfer. The 5.1 DTS-HD MA soundtrack features a moody score and involving surround mix primarily directed from the front. This is clean, concise audio with crystal-clear dialogue. Discrete elements exist in the mix that add a touch of directional sweep and immersion. The score nicely sets the haunting tone of the mystery. This is still a surround mix made for television, which limits it. 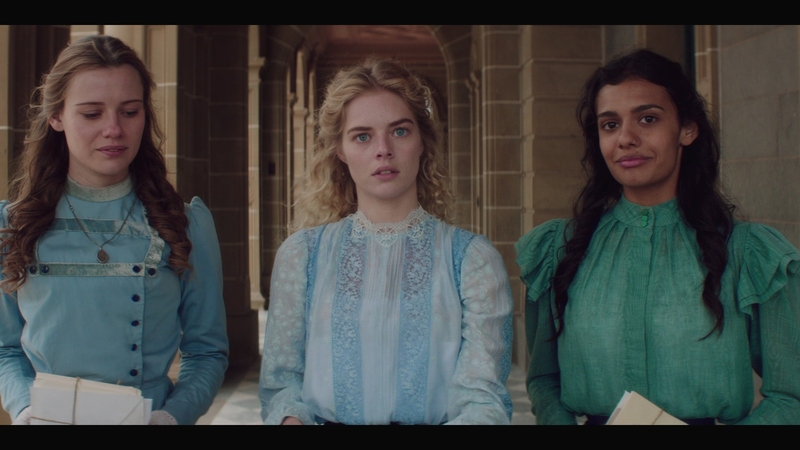 Acorn Media distributes Picnic At Hanging Rock through RLJ Entertainment. The two-disc Blu-ray set comes with a slick, glossy slipcover. Acorn usually provides excellent special features with the cast and crew for their releases. This is no different. Cast Interviews (19:47 in HD) – Star Natalie Dormer gives a nice sit-down discussion of the mini-series and its themes. Other cast members are also interviewed separately, including Samara Weaving and child actor Inez Curro. You realize how intelligent Dormer is in her interview. She has a keen grasp of this material. Characters, themes and favorite scenes are highlighted, among other topics. Crew Interviews (23:51 in HD) – Writer Alice Addison, producer Jo Porter, director Michael Rymer and other cast members talk about the inspiration for the series, shooting at Hanging Rock, and more. 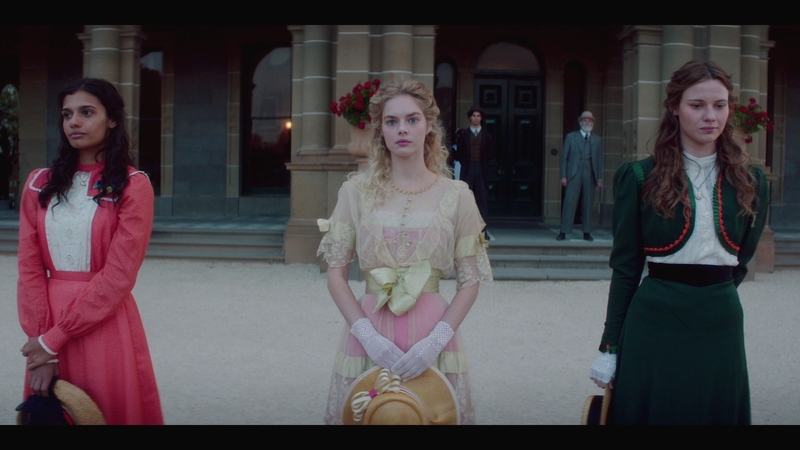 Behind The Scenes Footage (38:52 in HD) – This is basically footage shot from various set locations including Hanging Rock, Newport Railway, Werribee Mansion, and more. It’s a peak behind the curtain of what life on set looked like, but the lack of narration makes it tedious viewing. 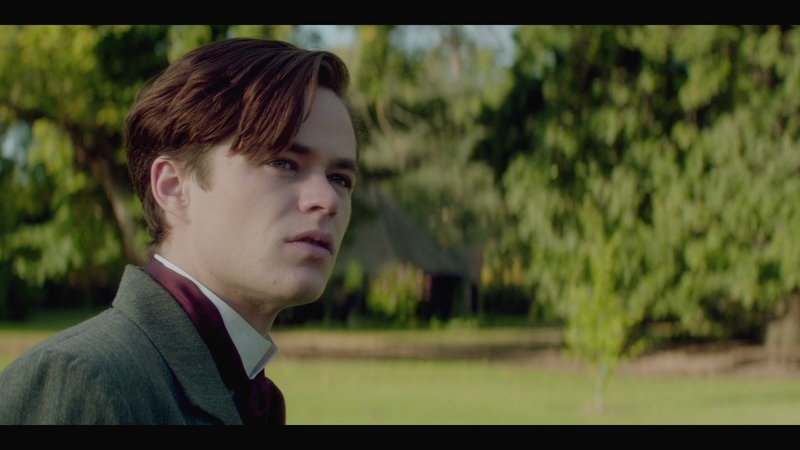 Trailers (03:10 in HD) – Trailers for The Crimson Petal & The White and Cloudstreet play before the main menu. Full disclosure: This Blu-ray release was provided to us for review by the distributor. For information on how we handle all review material, please visit our about us page to learn more about DoBlu’s editorial policies. 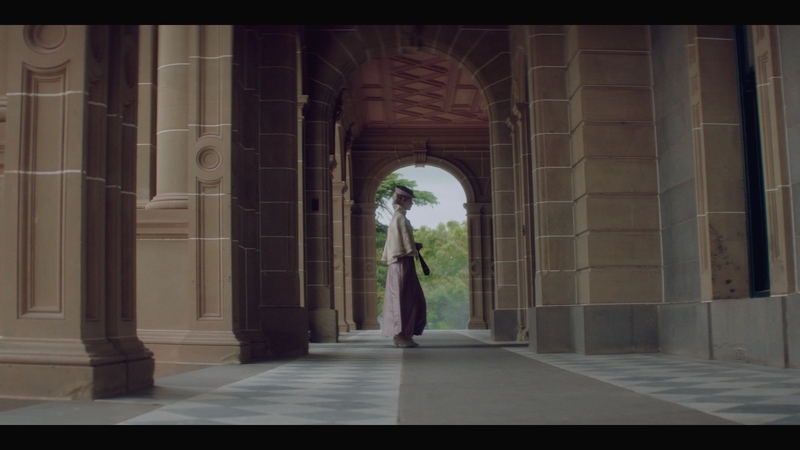 Picnic at Hanging Rock is a dreamy, enticing Australian mystery that delves into the lives of school girls coming of age in 1900. The unaltered images below have been ripped from the actual Blu-ray. For an additional 21 screenshots taken from Picnic At Hanging Rock, early access to all screens (plus the 20,000+ already in our library) in full resolution, dozens of exclusive 4K UHD reviews and other perks, support us on Patreon.